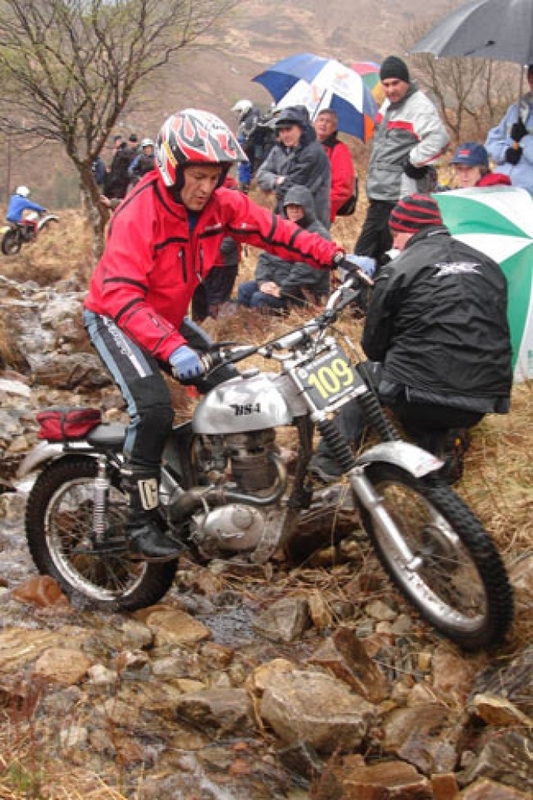 Here are some pictures I have found of BSA Otters competing in the Pre 65 Scottish. 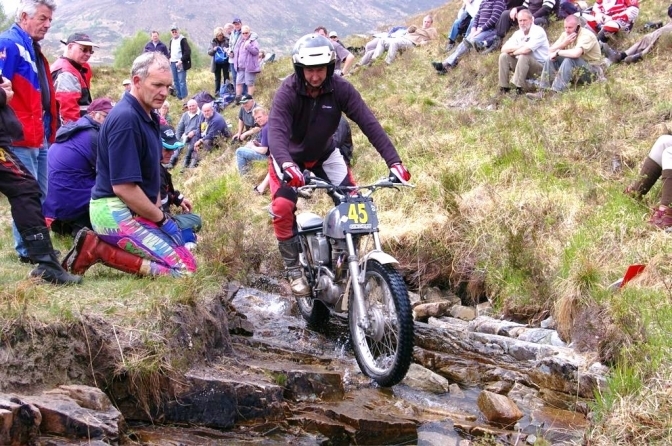 The BSA "Otter's" that have competed in the Pre 65 Scottish trial. After scouting around the net I have found a few pictures of BSA Otters that have actually competed in the Pre 65 Scottish? Well the rules have stated that the frames classed as "Otter's" did not comply with their rules. Jock McComisky sitting on his Mk 2 1/2 Faber BSA Otter. This is one of the Spanish entries I think 2009 was the year? whether there is a oil-tank fitted to this bike is a job to see. Now this bike look's like it is straight out of the Sammy Miller Camp. Now do these have oil tanks? and four-stud forks on the black stripped tank bike.2009? 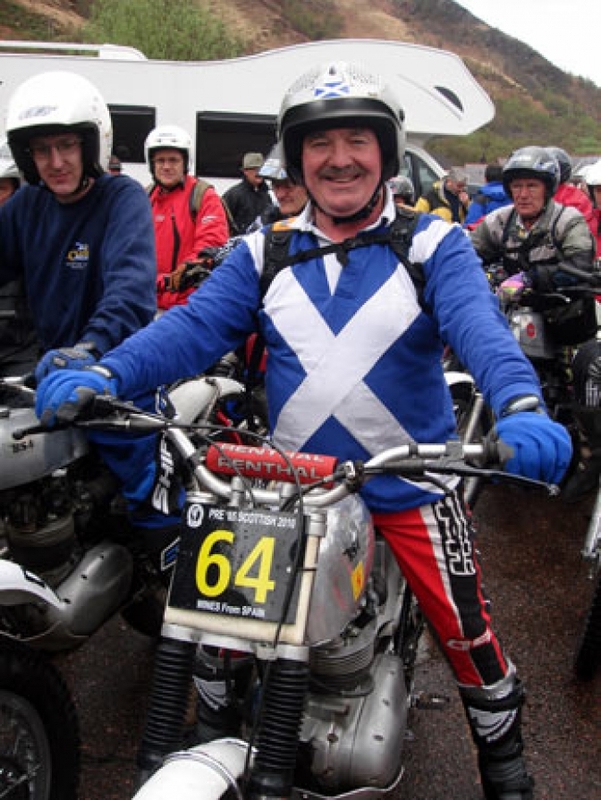 What a shame only a few BSA "Otter's" are allowed to get an entry into this trial! 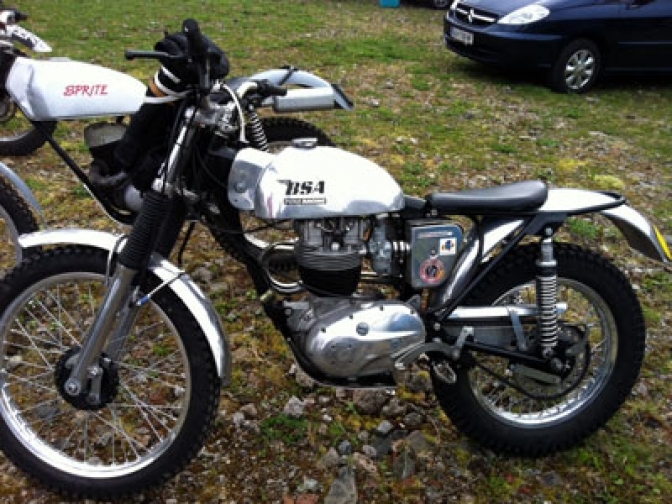 There is also this bike that the Dommett's rode in this trial that was an Otter with subframe like a HT Ariel. This is Scott Dommett riding the machine. And I am sure there were a lot more,BSA "Otter's" that have sneaked through the net. If you know let me know? I now feel it is time to let All BSA and Triumph "Otter" owners have a chance at trying to gain an entry into this trial. 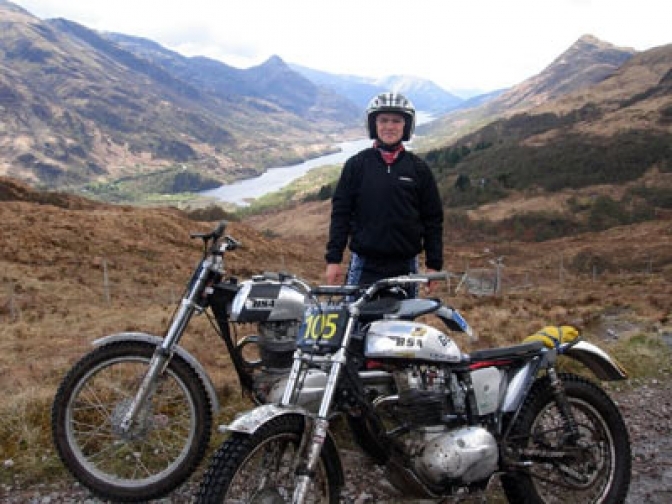 This is Andrew Black riding his BSA in 2014. Photo credit Jack Knoops. via ORR-e and Deryk Wylde. Jock McComisky Riding his Faber BSA MK 2 1/2 in the Captains trial this is the forerunner of the Mk3 Faber "Otter" frame that is now excepted by the Scottish Pre 65 trial committee. Although the MK3 frame still has the same subframe as the previous Faber Frames it now carries engine under-run tubing like the original C15T frame, which defeats the whole principle of the original works frame that Scott Ellis designed himself to get away with these tubes and therefore create more ground clearance. The Faber Mk 3 frame also uses a bent large spine of 1 3/4" section in place of the two 2" Bronze welded "L" shaped frame tubes of the Mk2 that was the same concept there again that Scott originally used on his 1965 frame on BOC132C. 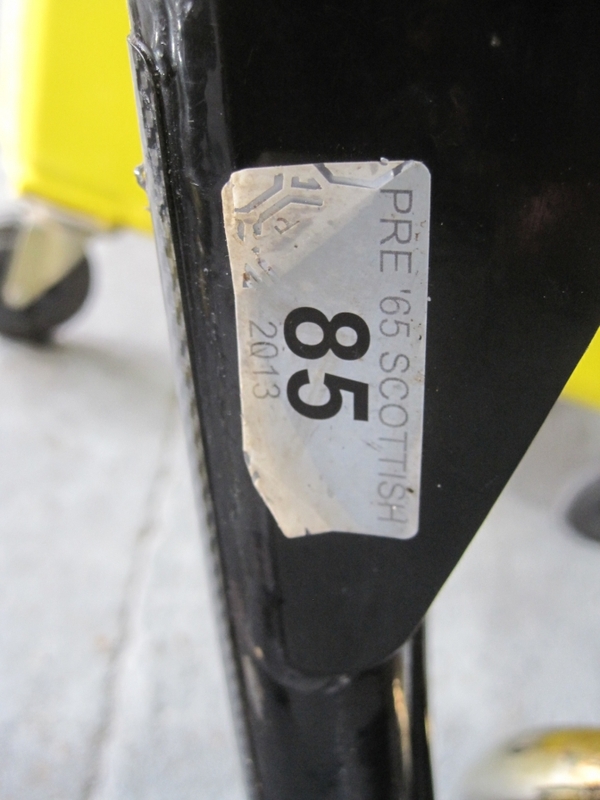 Scott's Original Frame was finished and registered for the road in 1965, although this registration number was firstly used on the near standard second batch C15T frame used on the bike Scott was first given to ride by BSA. It was this poor handling machine that made Scott and his father decide to try and build a machine that was up to Scott's riding ability. That is when the new frame was conceived. in 1965. But If you remember Pat Slinn built his version of the frame in late 1964. And although both of these machines were never put into production. How many other frames that compete in this Scottish trial year in year out where in production in 1965? And not many frames or machines competing saw the light of day before that time. So come on committee give the superb "Brit-Shock"that is the BSA "Otter" a chance to compete. I have just found this statement hiding on the bottom of the 2011 News Page. Here in our midst. this is it. you can read it on the news page if you wish. "Otter" is OK for the Scottish event? 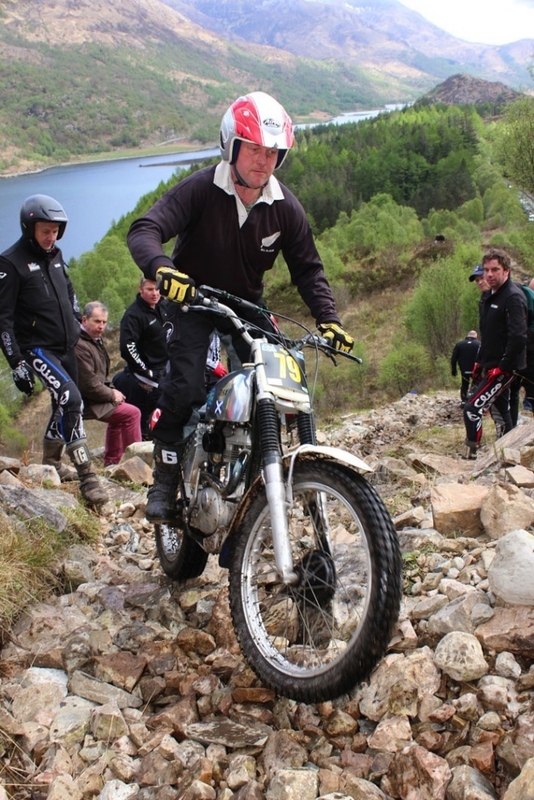 Bill Emmerson has confirmed that the Faber Mk 3 “Otter” frame is eligible for the Scottish Pre 65 two day Classic Trial. and if you read carefully the statement below, is he not saying that the MK1 and 2 are also OK? 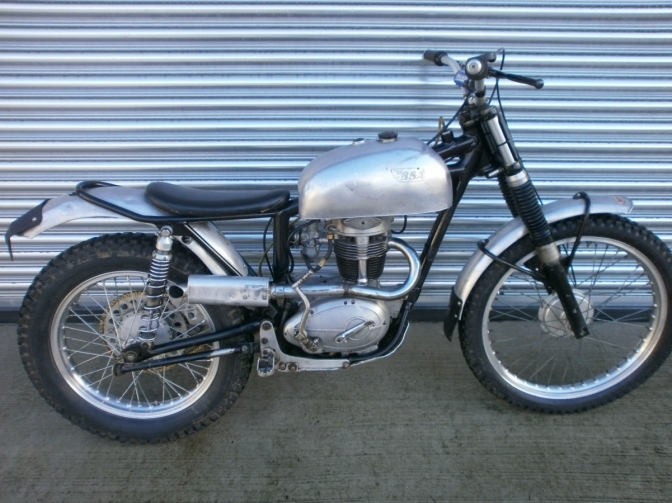 The Otter frame was used by Scott Ellis on his works BSA to win the British Experts trial in 1965 and the present Faber copy of this frame is eligible as it is a reasonable "of a design" copy, however, modification in manufacture or private ownership may alter the design to be unacceptable. In simple terms the frame must be identifiable and look like an Otter." "Otter"
So all you Guy's can now ride in Scotland? If you ever get an entry. 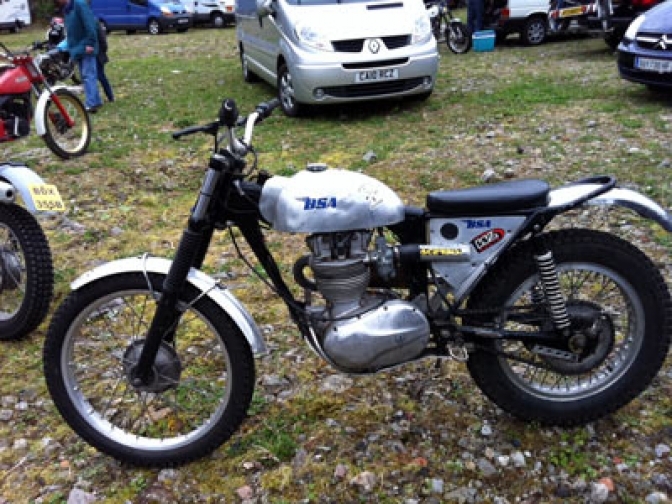 Just the bike you are looking for if you fancy a go at Pre 65 trials . 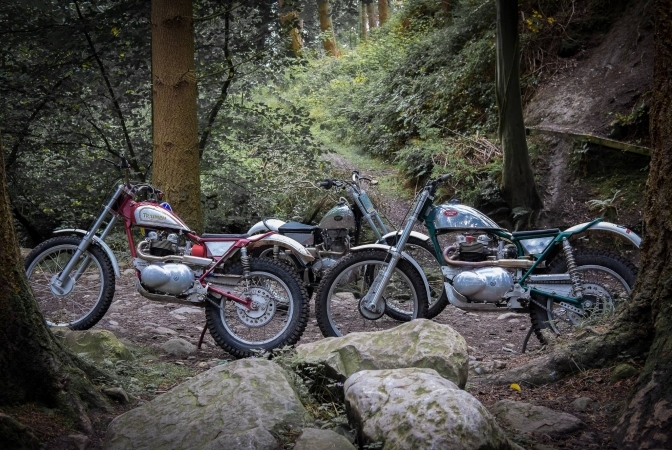 Yes this is a very sorted 1962 BSA C15 trials . The bike has all the mods required to make it more reliable and easy to ride like electronic ignition . alloy Betor shocks sorted steering and forks etc . 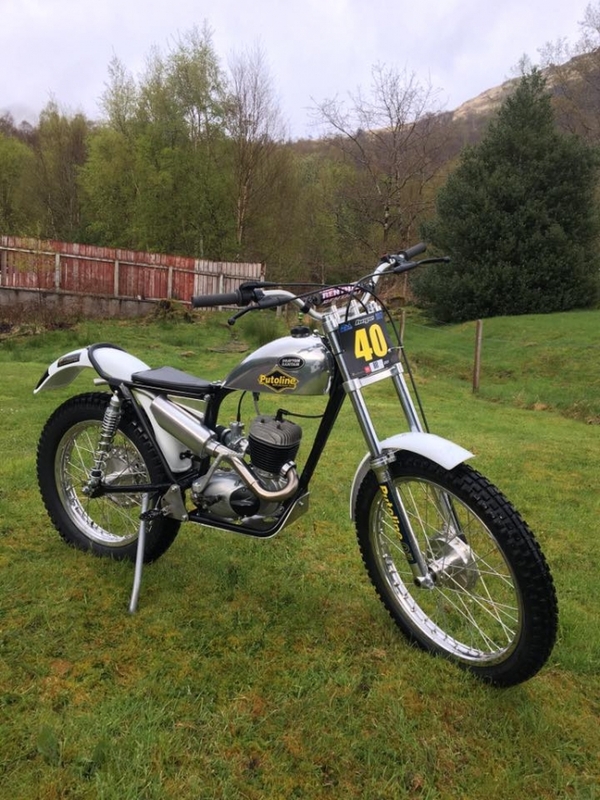 The bike has been ridden in the Pre 65 Scottish a number of times, so has been de bugged and is a capable competitive machine . 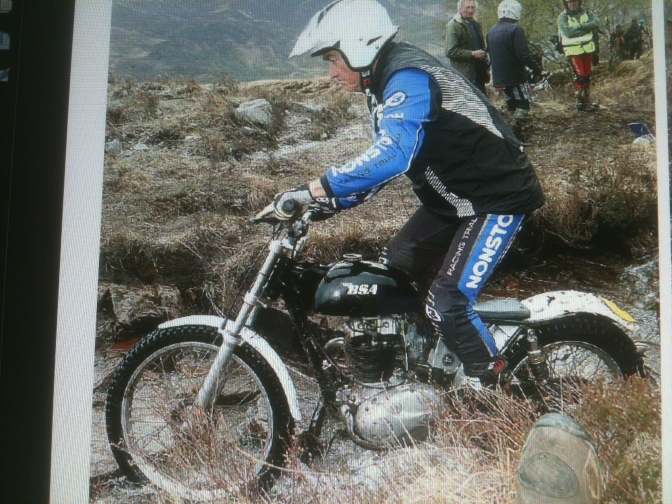 This bike used in the Scottish Two Day Trial, you can see the markings on the frame.There is a page on this machine. Snap from Orr-e Volume 55, Year 2017. 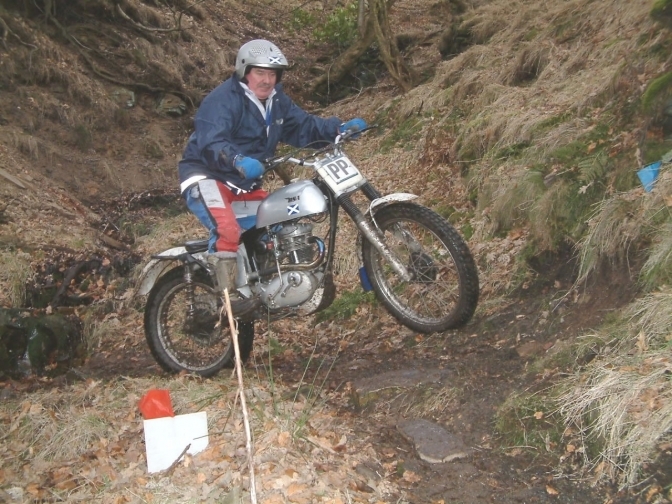 A "Foster BSA Otter" Scottish two day trial. I thought I would take a look at what does get through the so called Net, that is the web that is cast on this once yearly. run out, for so called Pre 65 Trials Machines. The amount of e-mails I get in a year, about "Do you Think this would be all-right for the Pre 65 Scottish" is unbelievable. And what do I tell my good friends, that have been left quivering in their trial boots even before they dare apply for a entry into this fascicle trial. Where a new billet hub that will cost you £300 + for one front, is excepted, when a hub that looks very much like a old British Hub, say a Yamaha TY or Montesa hub is a No-No, but a Grimeca moped wheel is OK if fitted to a D.O.T. And what about a Honda Cub C50-90 hub these were fitted to most "Pre 65" smaller British bikes in the late sixties to reduce weight, Ask Don Morley. And these hubs originated from the 1958-9 Honda Cub. Then we get to the silly front fork scenario. Now this is truly a joke. You can fit NEW 2017 Cartridge forks to your bike as long as they have a REH sticker on them. 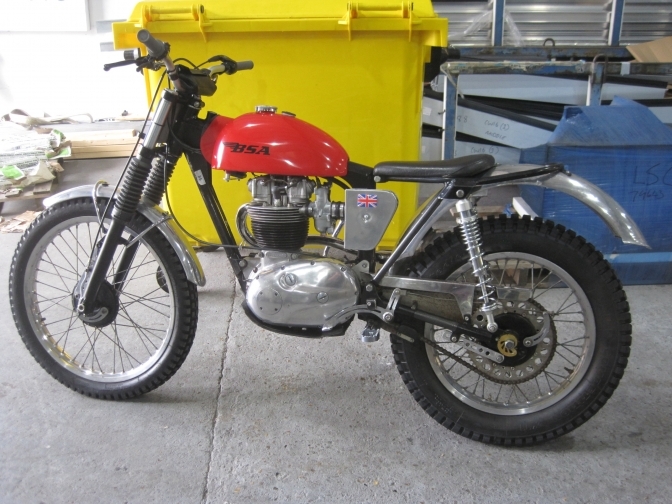 But you can't fit British Made Triumph/BSA four stud forks, because they did not appear on the scene until 1971? Wrong ,they were developed in 1963, for fitment to the works BSA scrambles bikes. And I have spotted four bikes that used them in 2017, for the trial. with a couple well disguised. But how could the riders sleep at night knowing they were breaking the rules? I spose a dram or two helped them sleep and the highland economy took a boost in profit. Then we get to the totally silly conception that if we fit modern fork internals and stanchions into old or NEW Norton or the New billet AMC sliders. 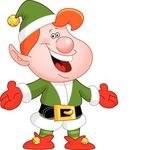 The Scottish Elves are happy unless you fit the legs into fork yokes that have clamp bolts on the side, and if they are yokes with two bolts per side you are sent packing into oblivion,never to be seen again, that is the magic the Elves have. 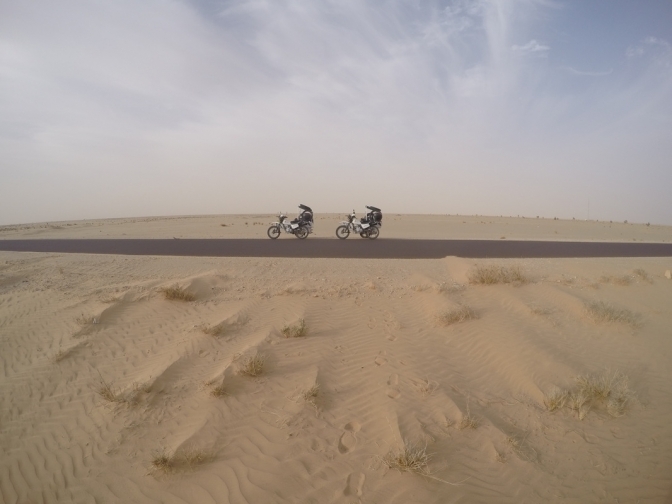 but-the workforce must be content, because they keep churning out a NEW crop of so called Ariel HT 5's every year, and like the old British factories they seem to now be amalgamated with the rest of the old time adverseris like Triumph and Royal Enfield. And parts from each brand put together now, the boys from Planet Zogg are putting some fine NEW trials machines together. as upped the production of a NEW product "like what happened before", when the Spanish Fly took control of the scene for a while. 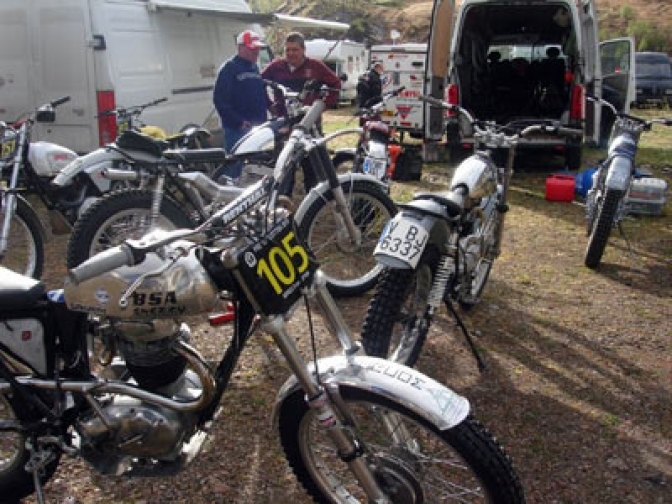 This NEW wave of dinkey little bikes has took control of all aspects of the so called Pre 65 Classic trials scene, and has risen to the top, just like a star in a shuffling galaxy. They have throw all rule books out of the window as they are a copy of a machine not even produced in 1965. 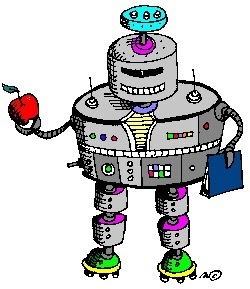 But the Robot said I am your New leader and It wont take a lot to persuade the Elves up in that far away land of Scotland,to come around to my way of thinking. Or I will make sure that it Snows or pours of rain on the event for the next decade or so. But if we win an-event on our NEW barrow. The clouds will part over the mountains and behold it will be glorious weather for all events in years to come. Please STDT committee, do the right thing and declare that a "BSA Otter" British through and through is captured by your web as a machine that upholds all that is British from the glorious Classic Trials Years. Even when fitted with Triumph/BSA so named Explorer four-stud forks.